The weather is finally starting to warm up in Northern Colorado, but there’s a good chance that there will be one or two more snow falls this season. 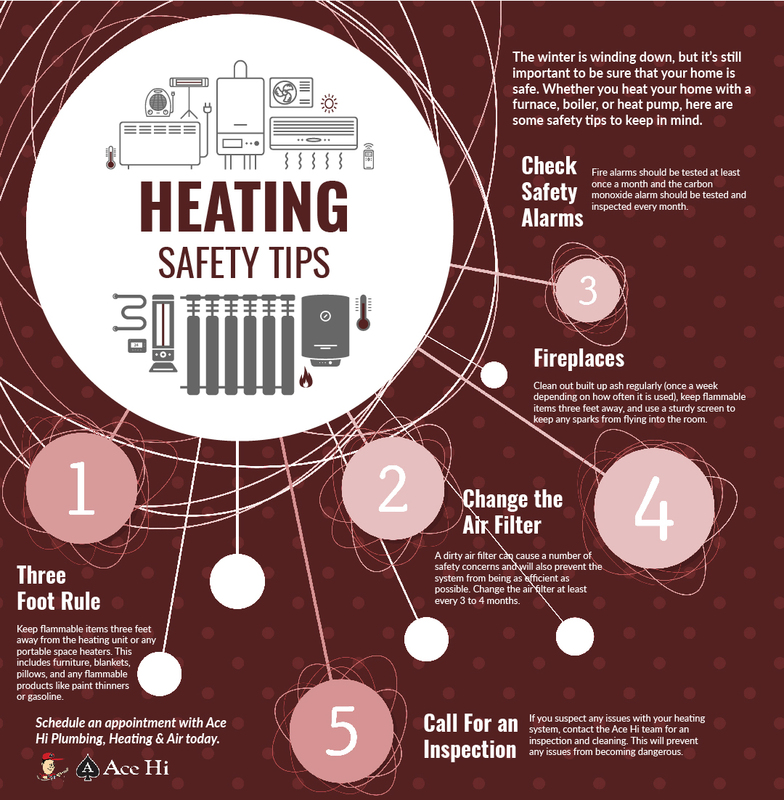 If your heat is still turned on or you still have space heaters plugged in, it’s important to understand some basic safety steps to prevent any accidents from occurring. At Ace Hi Plumbing, Heating & Air, our expert HVAC technicians will gladly help make your home safer and more efficient year round. But during the transition from winter to spring season, it’s important to remember that even though the weather outside is getting nicer and nicer, you still need to pay close attention to the health and safety of your heating system. 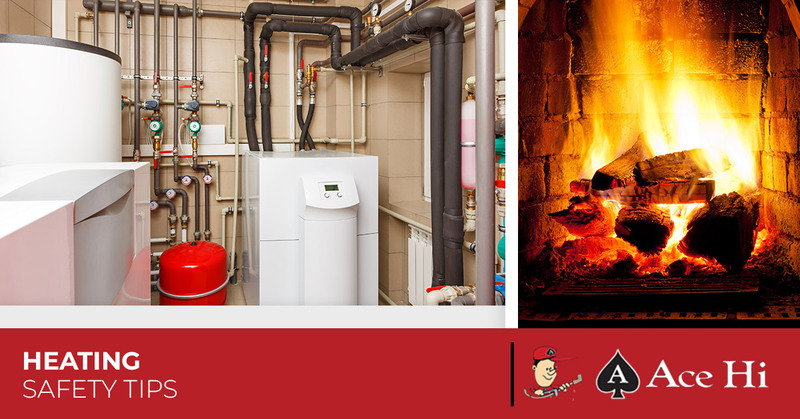 Whether your home is heated with a furnace, boiler, or heat pump, you can count on Ace Hi Plumbing for professional heating repair, maintenance, and installation. Get in touch with our furnace repair contractors today for quick and reliable service. Watch out for anything flammable getting too close to heating equipment. This includes the furnace, fireplaces, or portable space heaters getting too close to furniture, blankets, throw pillow pillows, or the leftover sock. It’s also a good idea to create zones where the kids know to keep out of. 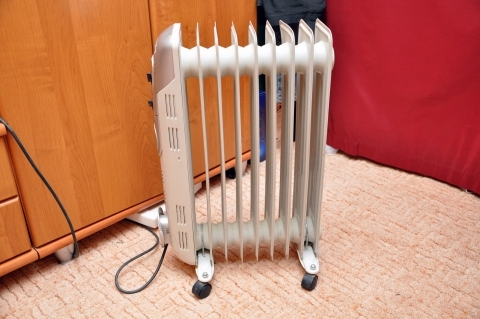 These areas can be a three feet circle around space heaters and fireplaces. This also goes for products such as gasoline, paint thinners, and paint. Not only can a dirty air filter cause performance issues with the furnace, it can also cause safety issues. A clogged filter will prevent air from flowing efficiently, making the unit work harder than it should. If left long enough, it could result in furnace failure. Make it a habit to check the smoke alarms throughout your home once a month. You should also have carbon monoxide alarms installed in the case of the dangerous gas leaking from the furnace. Carbon monoxide doesn’t smell like anything, so it is essential that alarms are in place and are tested and inspected regularly. If you have a wood burning fireplace in your home, it should be cleaned regularly of built up ash and the chimney should be cleaned once a year. While in use, there should be a screen to prevent sparks from flying into the room. Have safety products nearby in the case of an emergency, such as a fire extinguisher. When your furnace is in heavy use during the winter season, make sure it’s running as efficiently as possible and there aren’t any major issues that could result in the unit being a danger to your home. There are many electrical parts that make up the unit as well as gas and heat – so it’s important to always be aware of the health of the system. The HVAC technicians at Ace Hi offer thorough inspections. Your furnace, or other type of heating system, will be in use for a little while longer in Northern Colorado, especially when the temperatures at night are still getting pretty low. If you’re having issues with your furnace, get in touch with the HVAC technicians at Ace Hi Plumbing, Heating & Air. We’re available for furnace repair, maintenance, and if it comes to it, furnace installation. With years of experience in the HVAC and plumbing industries, you can count on our team for professional and reliable service year round. Whether you’re heat isn’t working, the AC isn’t cooling your home, or you have a backup septic system, we’ll ensure that your home is efficient and safe.